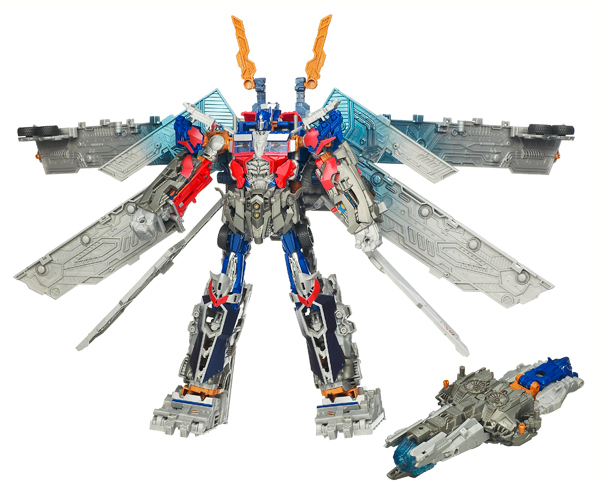 Lead the Autobots to final victory with the Transformers Dark of the Moon Ultimate Optimus Prime action figure. 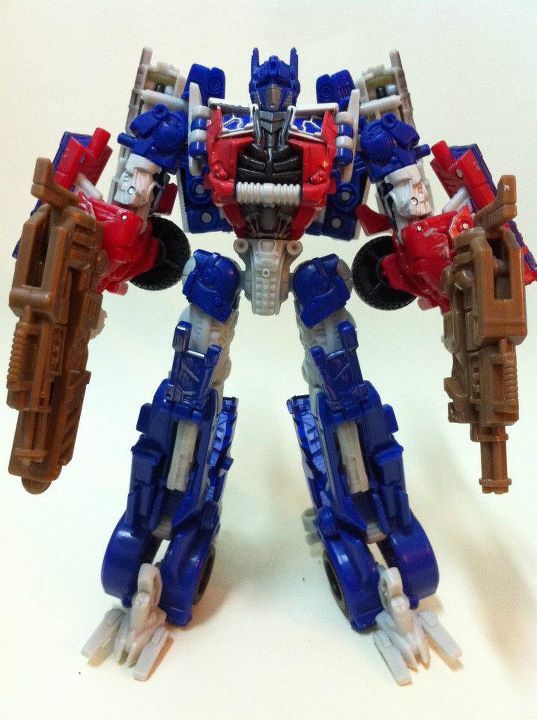 The leader of the Autobots, Optimus Prime is ready to battle the Decepticons for the last time with this transforming action figure. Take to the roads in Trailer Mode, with Optimus Prime in his disguise as a Peterbilt 379 lorry truck and trailer. 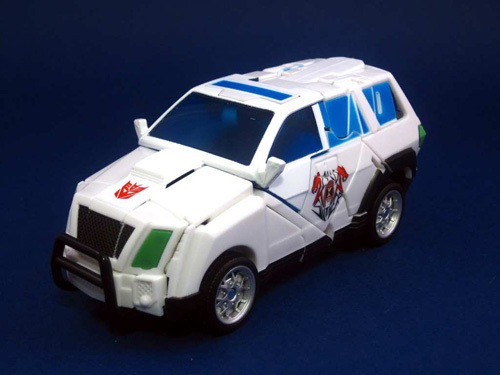 When danger strikes the Autobots, Optimus can detach from the trailer and transform into Robot Mode, to take on the situation head-on. 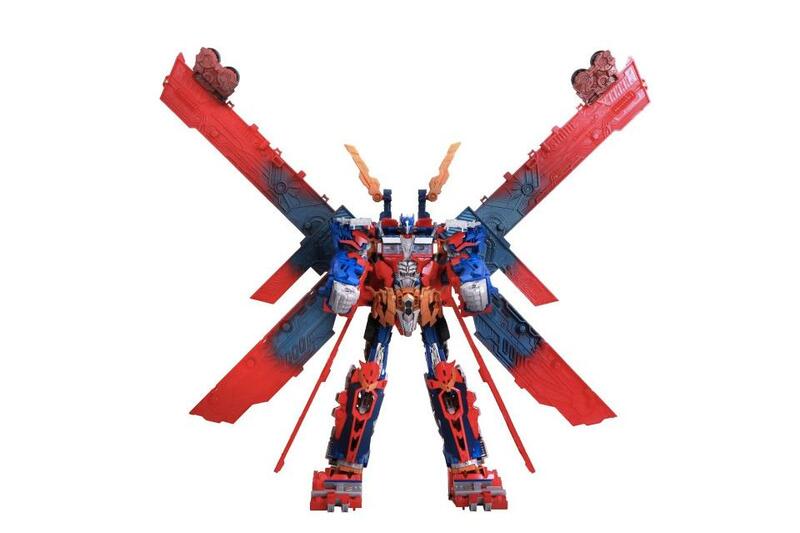 And if the threat becomes greater still, the trailer transforms and combines with Optimus Prime to engage Power-Up Mode, equipping him with extra armour and a set of wings. 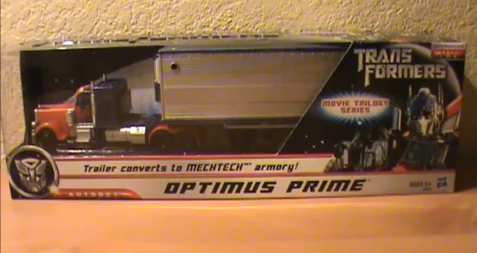 Hidden inside the trailer is a blaster weapon, which Optimus can fire in Power-Up Mode, and features lights and sound effects. 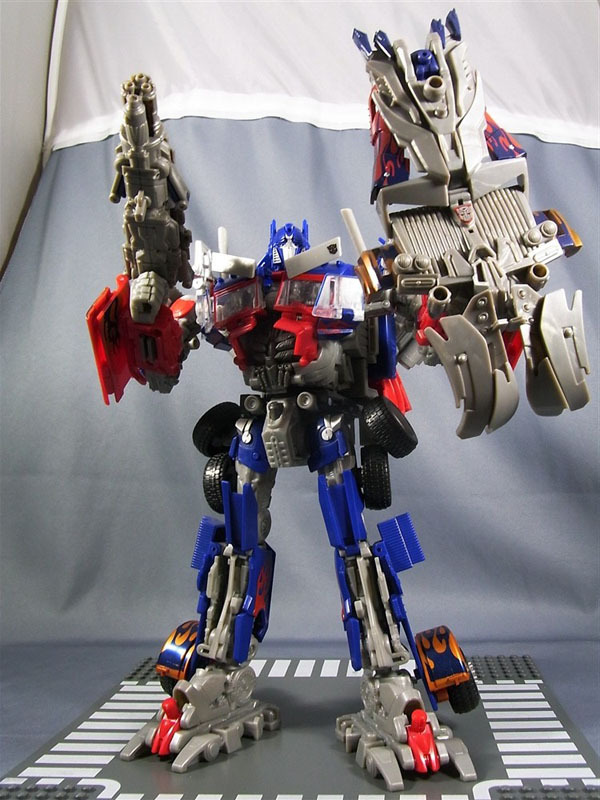 The Ultimate Optimus Prime figure requires 2 AA batteries, which are included. 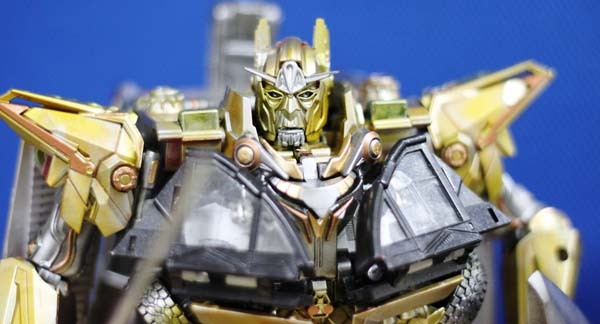 Transformers fans aged 5 and up will have great fun battling the Decepticons with this awesome action figure.